Terms and Conditions: As this is a personalised workshop no refunds can be given. Should you miss the workshop you can transfer to another date. Places are strictly limited so personalised attention can be given. Minimum of 4 required for workshop to proceed. Worksite options also available. * This two-dimensional model of conflict-handling behaviour is adapted from “Conflict and Conflict Management” by Kenneth Thomas in The Handbook of Industrial and Organizational Psychology, edited by Marvin Dunnette (Chicago: Rand McNally, 1976). Another valuable contribution in this field is the work by Robert Blake and Jane Mouton in The Managerial Grid (Houston: Gulf Publishing, 1964, 1994). 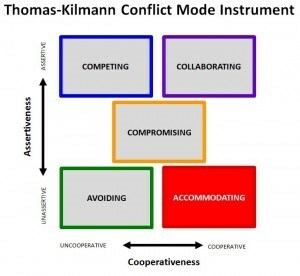 Thomas-Kilmann Conflict Mode Instrument Profile and Interpretive Report Copyright 2001, 2007 by CPP, Inc. All rights reserved. 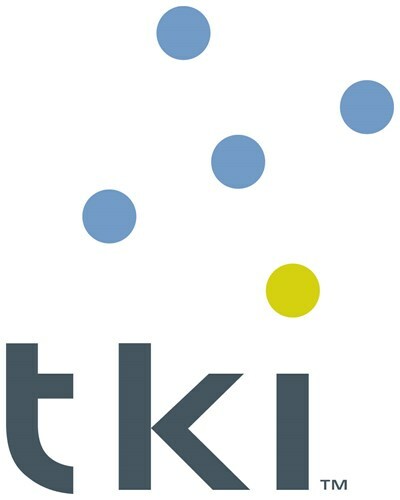 The TKI logo and the CPP logo are trademarks or registered trademarks of CPP, Inc., in the United States and other countries.